EK Water Blocks, the market leader in high-end liquid cooling for PC products, confirms that all of its current CPU water blocks will fully support the latest AMD® Socket AM4 series processors (Ryzen™ CPUs and A-series APU codename Bristol Ridge) as the additional free upgrade. 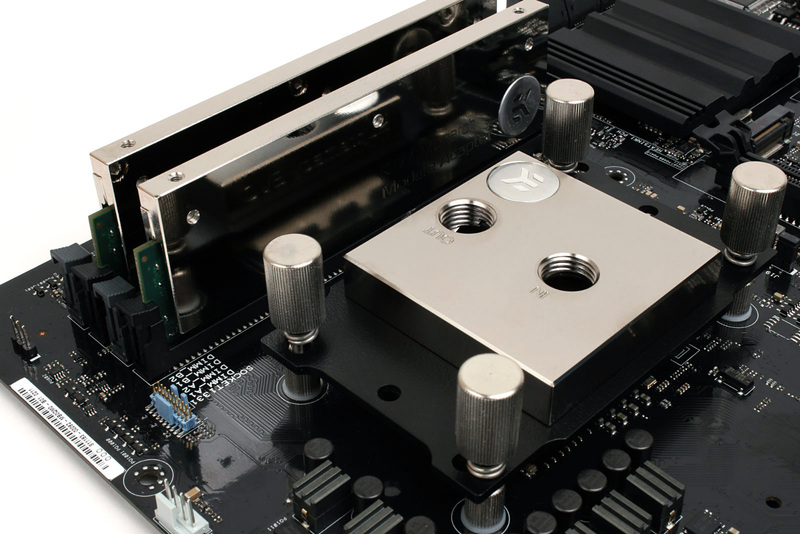 On Monday, 9th of January, the option for Socket AM4 Mounting plate will become available with all EK-Supremacy EVO blocks (except for X99 and Elite variants). 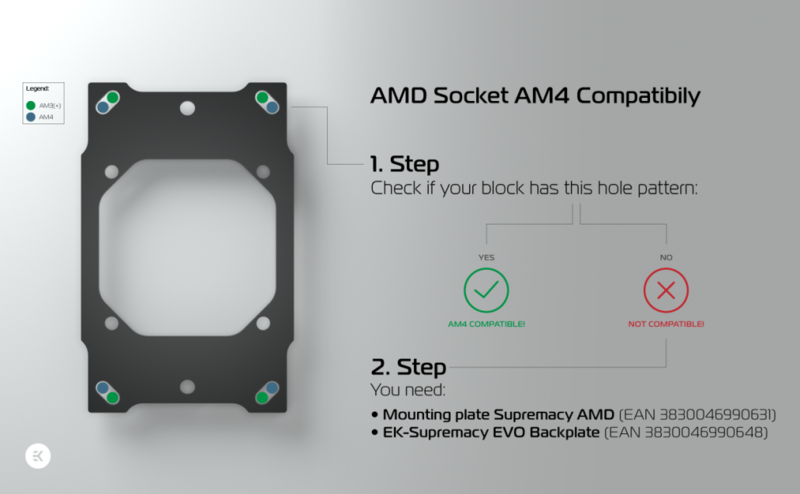 There is no need to buy any additional parts with the purchase of the new EK-Supremacy EVO, just select the AMD Socket AM4 option in the additional socket support list with the selected CPU water block. All-In-One Predator units will provide Socket AM4 support with EK-XLC Predator AMD Upgrade Kit, available as a separate purchase. We are also announcing dedicated Monoblocks for upcoming X370 motherboards to become available in the following weeks. To stay informed, subscribe to our newsletter here.